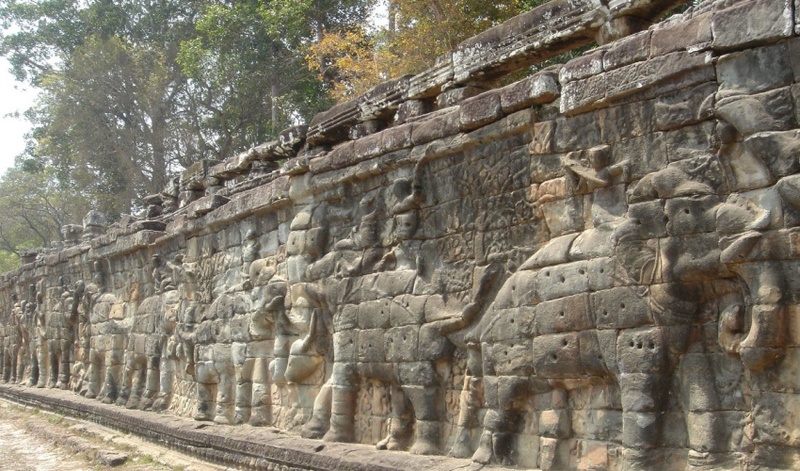 The Terrace of the Elephants is carved with lots and lots and lots of elephants and along with the Terrace of the Leper King, comprises the Royal Terraces. 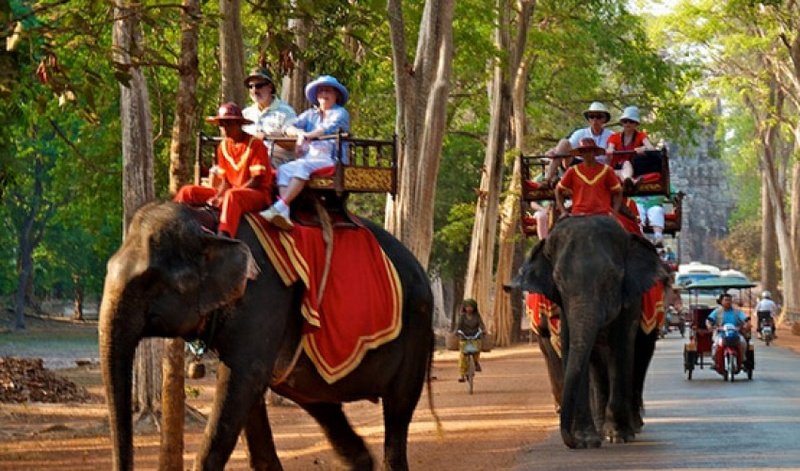 Try to visit here in early morning, when the elephants catch the morning light nicely Elephants, elephants and more elephant. 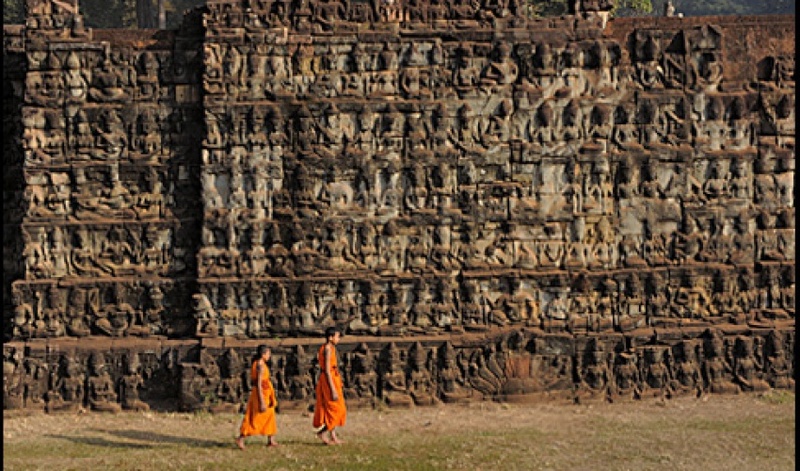 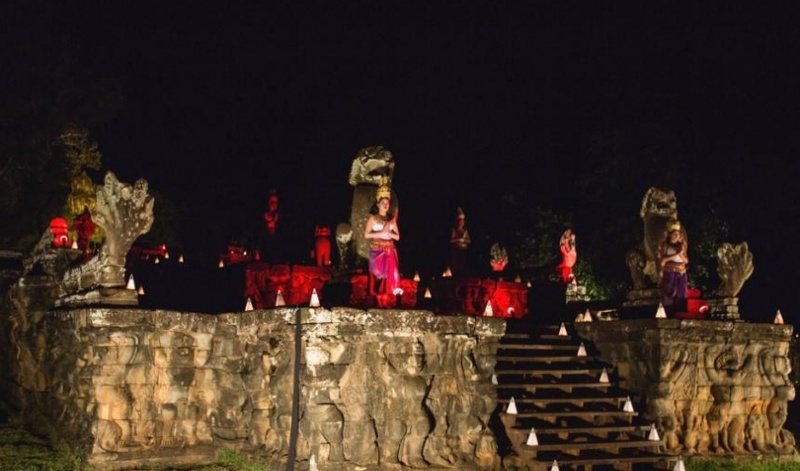 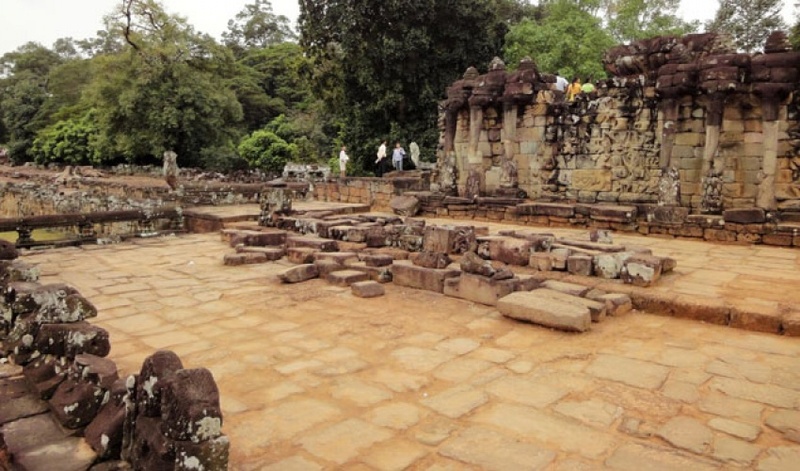 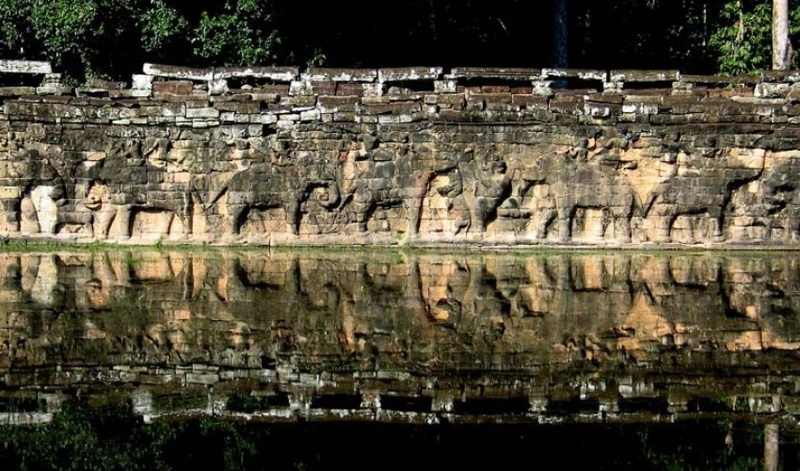 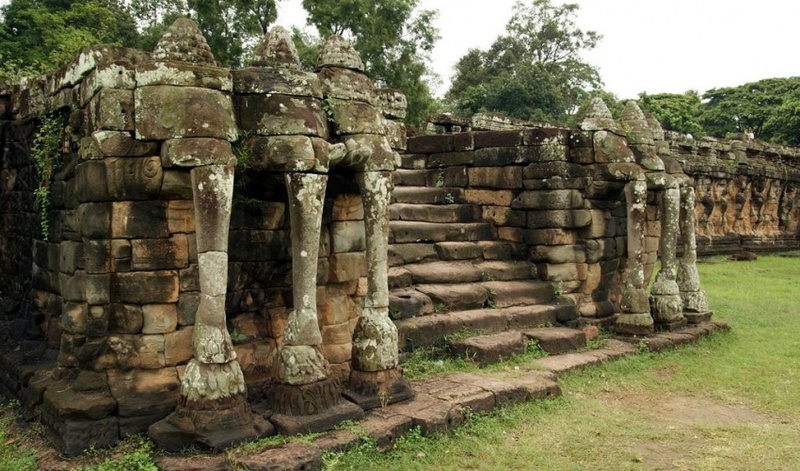 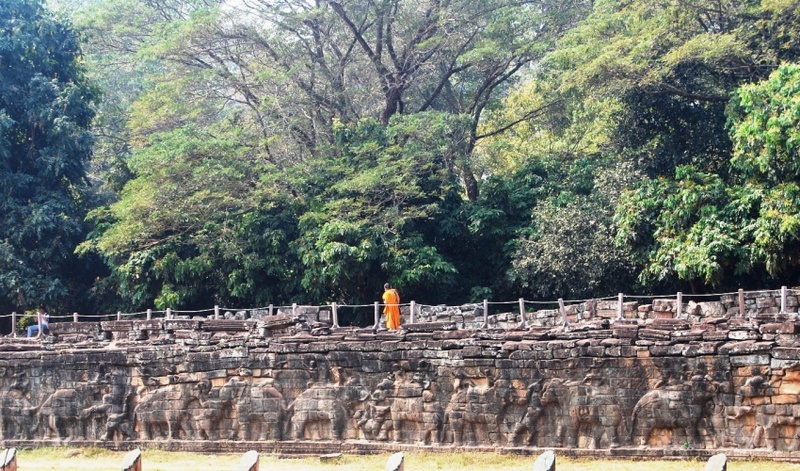 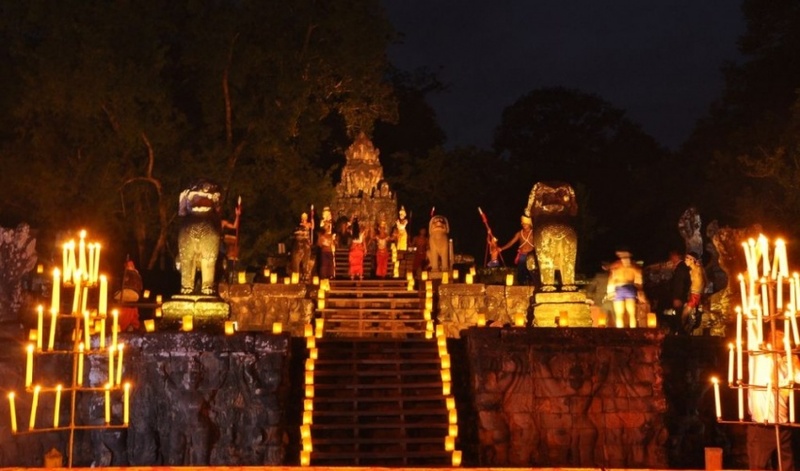 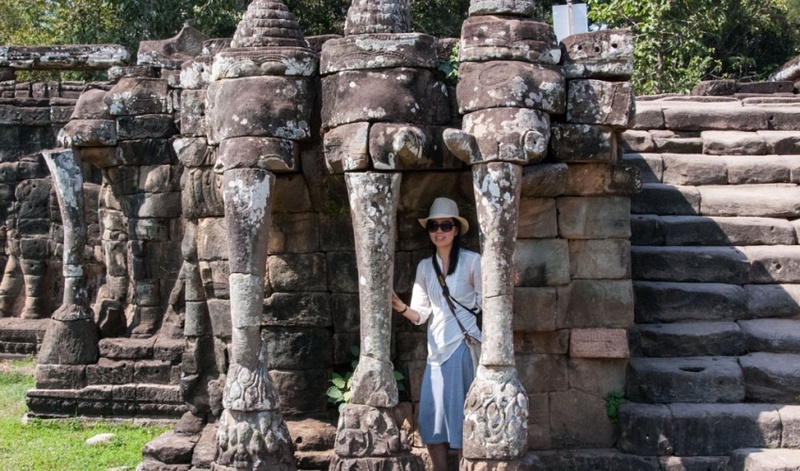 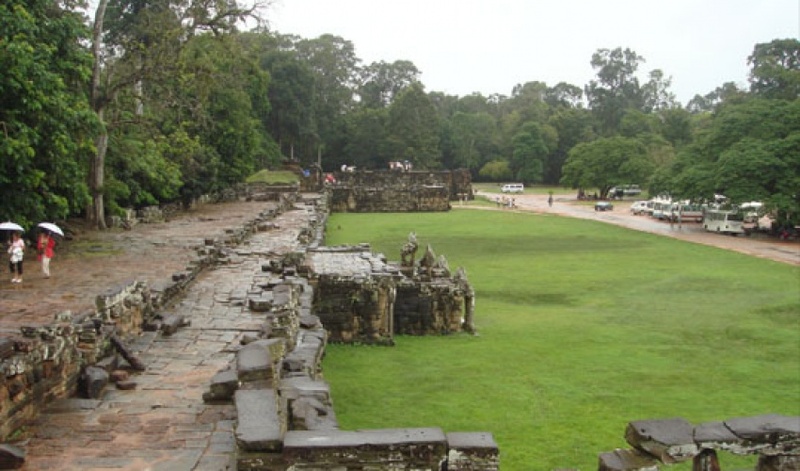 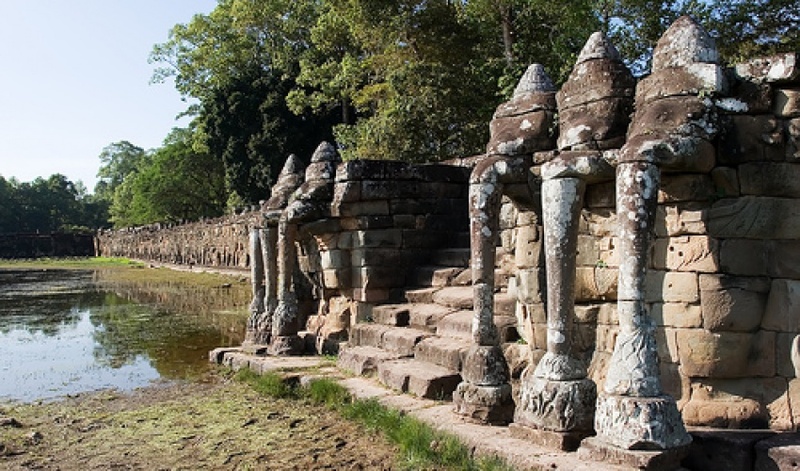 Built during the reign of Jayavarman VII and added to by Jayavarman VIII, the Elephant Terrace makes for an interesting stroll, though during the monsoon the ground near the terrace is often flooded or at least sodden so you will want to stick to the top. 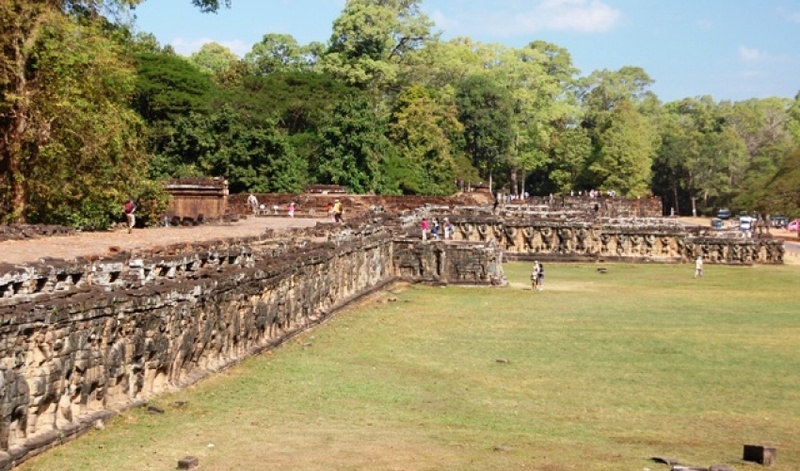 The three-metre high terrace includes five staircases: one at the north and south end and three running along its length, with the central set of stairs being the largest. 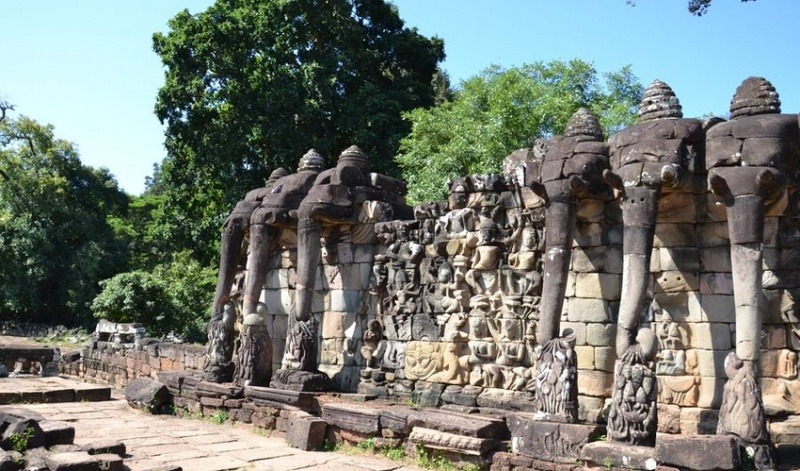 In between the staircases, the wall is decorated with elephants and their mahouts in hunting scenes, along with a generous sprinkling of garudas and lion-like creatures. 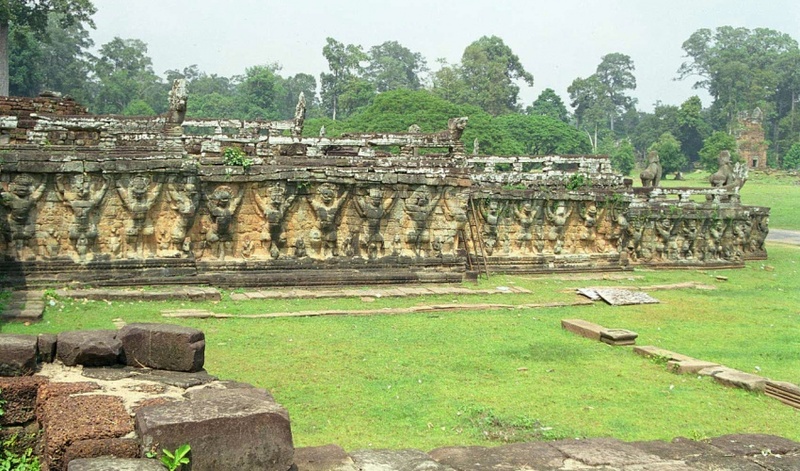 The Elephant Terrace once supported the royal reception area and the many garudas and lion-like figures were intended to give the impression that the royal entourage, shaded by their parasols and gold-topped pavilions, were being held aloft in the heavens. 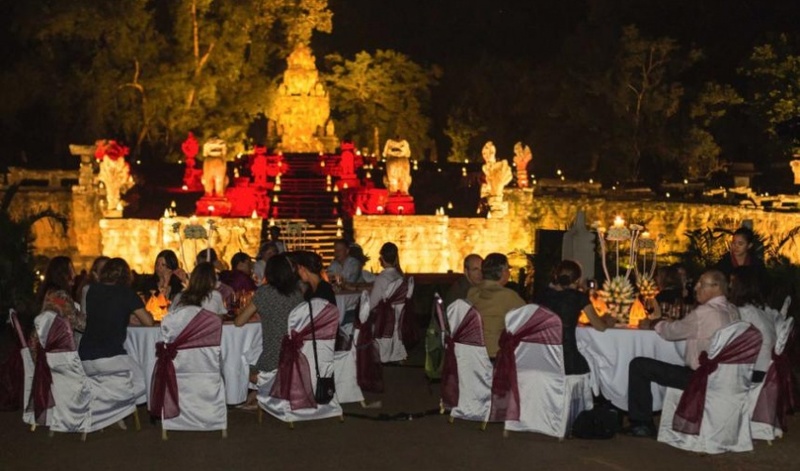 It is understood that in front of the terrace events like army parades would have taken place which royals would have watched over. 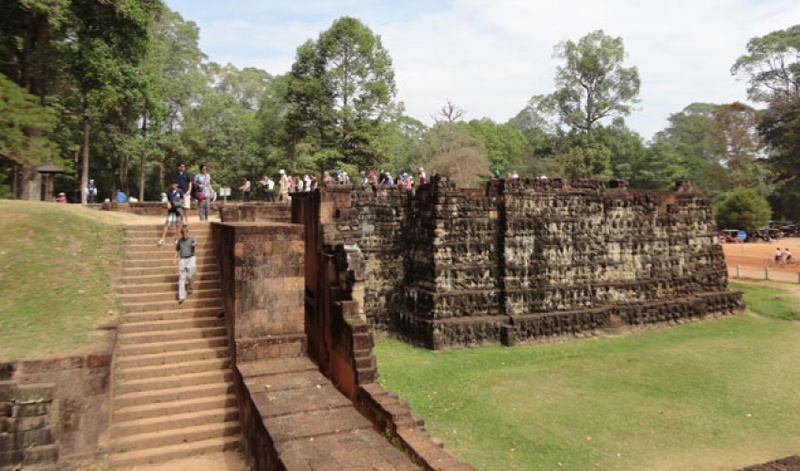 There would have once also been many wooden structures attached to the terrace, creating a very imposing sight.